When we inquired into Allan’s ideas about the reasons for the situation, he described Joan as being too dependent on him. While Joan agreed that she was dependent on Allan, she described him as uncaring and sometimes bullying. When asked about what made times apart most difficult they both mentioned their telephone conversations. Inquiring into what happened during the calls, they described a pattern whereby Joan would start to cry and withdraw into silence, and Allan would get angry and verbally abusive. When they did get back together for a weekend, they would often argue about whom was at fault. At the end of their time together, Allan would return to his course angry and Joan would remain behind in tears again. How one understands the difficulties described by this couple, and what approach one might take in counselling, is shaped by the theoretical context out of which one acts. At one time, we would have sought to find the “real” causes for each person’s current behaviour. We would have assumed that a person’s past experience, especially their childhood, held the clue to the present. Also, we would have assumed that only by understanding the causes would we be able to address the couple’s relationship difficulties. In Allan and Joan’s case? In relation to the case described, we might have believed that Joan’s dependency on Allan, and her resentment when Allan left to go back to his course, was a reflection of an insecure attachment in early life with her primary care giver (Bowlby, 1987). As for Allan, maybe he was showing behaviour that exemplified the stereotypical gender arrangements that structure intimacy between men and women generally (Goldner et al, 1990). We might also have tended to put the primary responsibility for what was happening on one or other of the parties. Perhaps, if Allan were only more understanding of Joan’s difficulties, she would be able to cope better with his absences. Or, if Joan “stood up for herself” a bit more, things would work out. Some assertiveness training might be useful for Joan. Explore patterns of interaction – a second look at Allan and Joan. Rather than looking within each person for the causes of problems, perhaps we should simply focus on the pattern of their interactions. At the risk of oversimplification, the interaction between Allan and Joan can be thought of as a particular type of informational feedback loop. The arrow drawn from Allan to Joan is taken to mean that Allan’s anger influences Joan’s crying/withdrawing. The arrow drawn from Joan to Allan means that Joan’s crying/withdrawing influences Allan’s anger tendency. The positive sign (+), near each arrow head, means that if Allan shows anger it will increase Joan’s tendency to cry/withdraw, and if Joan cries/withdraws it will increase Allan’s tendency to become angry. This is called a positive loop – indicated by (+) in the middle of the loop – because of its tendency to reinforce or amplify a change in any one element of the system (for an account of feedback loop theory with many examples of different loop structures drawn from a variety of disciplines, see Richardson, 1991). Thus, if Allan gets angry, Joan cries, which leads to Allan becoming even more angry, which then feeds around the loop to make Joan cry/withdraw even more, and so on. Positive feedback loops, of which the above is just an example, are thought to provide the mechanism underlying common phenomenon such as vicious circles or self-fulfilling prophesies. A focus on the pattern can also stimulate a search for “solutions” at the level of pattern. With Joan and Allan, we had a hunch that not all their telephone conversations ended badly. If they could remember how they had managed a “good” conversational pattern and the circumstances that contributed to it, maybe one or both might choose to act differently next time and so break the vicious circle. Perhaps a new sequence of interactions might develop that could become a more mutually satisfying pattern. What happened to Joan and Allan? When we explored in detail their account of past interactions, although the story of distressing telephone calls dominated their talk, they also told us another story. There were rare occasions when telephone conversations during Allan’s absences had been enjoyable. Inquiring into the circumstances around these, Joan and Allan agreed that they occurred when they called each other more often, and when Joan remembered to ask Allan how his work was going. Joan thought that things were better when Allan’s home visits were for longer periods. As therapists we thought that it would be useful to share with Joan and Allan how we had learnt to cope with the absence of the other. Joan connected with we said and reflected that she coped better when she didn’t allow Allan’s absence to prevent her socialising with her church friends. When we asked who else might have noticed this, she affirmed that some of her friends had mentioned it once before. When we explored with Allan how he would feel if Joan led a more active social life when he was away, he welcomed it. Together we then developed a specific plan to help Allan and Joan put into practice those things that seemed to help their telephone contact to be a supportive and enjoyable experience. We are please to say that it worked for them. The second perspective on the couple’s concerns, and the brief account of the therapy, illustrates six key features of a systemic approach to counselling/therapy. 1. It focuses on relationships, on the various contexts (e.g. marriage, work, singleness, etc) that shape the meaning we give to what is said and done, and on patterns that connect, i.e. on the system of human organisation. 2. Foundational to the approach is a “questioning” technique. Questions are asked in order to explore in detail the patterns that connect the client with significant others, whether present or not in the counselling room. 3. The counsellor/therapist is seen to be as much a part of the system as is the couple or family present. He/she is seen as not being able to observe the system in an “objective” way. His/her presence inevitably alters the client system, so that the idea of the therapist sharing his/her own stories is permissible, and is seen as a useful way of introducing new information about alternative ways of thinking and acting (see below). 4. Systems theory predicts that even a small change in one element in a complex system of interactions can have wide ranging and long term effects. By exploring existing connections and patterns, clients may become aware of possible new connections and alternative ways of thinking and acting, enough to introduce small changes in the system. 6. Finally, systemic practice emphasises the possibility of change and tends to focus more on the future rather than on the past (Burnham, 1986). In recent years, systemic thinking has been allied to a theory known as “Social Constructionism”, associated with Peter Berger, a Lutheran and noted sociologist (Berger & Luckman, 1966). Social constructionism explores how, what and why we make the social worlds that we make in language, including psychological concepts such as the unconscious, and theories about child-carer attachment and personality types. Social constructionism puts question marks about the ultimate “truth” status of any of these concepts and theories. It recognises them as human constructions that are more or less useful or plausible ways of understanding our social worlds (Burr, 1995). Interestingly, theories of spirituality are also accorded space in practices influenced by social constructionist thinking. A therapist would be regarded as remiss if they did not enquire into client stories of spirituality (or of aspects of a client’s relationship with God) as it would be if they avoided issues to do with social class, gender, disability, sexual preference, race or ethnicity. Social constructionist theory also has implications for how rigidly or narrowly we hold to a systemic approach. According to the theory, if we only look at patterns that connect and exclude any consideration of what goes on inside a person, that is as unwarranted theoretically, as focussing only on internal mental processes. Today, there is an increasing tendency in systemic therapeutic practice towards considering processes internal to the individual alongside its usual focus on external relationships that connect. Rather than assuming an either/or position, systemic social constructionist therapists/counsellors tend to think and act in terms of both/and when it comes to theories and practices. How did we move from a traditional person centred counselling approach to a systemic social constructionist position? At one point in our counselling work, we began to see couples with relational difficulties. We soon realised how ill equipped we were. In one case we failed not to be seen to take sides in a dispute between husband and wife. The husband walked out and we lost the opportunity to be of use in a potentially serious situation. In others, we were defeated by the intensity of the arguments, and simply did not know what to do. In September 1995, we started a two-year post-graduate certificate family therapy course run jointly by the Institute of Family Therapy and Birkbeck College, London University. When this finished, our appetites were wetted to do more. We had become interested in narrative therapy (White, 1995). This movement sees the stories we tell about ourselves and about others as being the primary frame or resource people use to make sense of situations and guide their actions. Narrative therapy often involves enabling people to tell the stories of experiences that they have somehow forgotten or put aside in favour of a dominant one that may have shaped their lives in unhelpful ways. These alternative stories may contain “forgotten” knowledge about more useful ways of thinking and acting (an example of a dominant and alternative story was described in the case of Allan and Joan). That led us to Kensington Consultation Centre (KCC), in London, which was sympathetic to narrative ideas. It favoured a social constructionist framework, which we were already acquainted with because of an interest in the relationship between Christianity and culture (Berger, 1967). At KCC these were all allied to a rigorous systemic approach. The two-year KCC programme leads to a clinical diploma or masters degree in systemic psychotherapy, which we completed in 1999. Though our interest has always been to work with couples and families, the training included many clinical hours working with individuals from within a systemic social constructionist frame. Even working with individuals, there is so much to be gained by highlighting connections with significant others and by bringing alternative perspectives to bear on the person’s concerns. We now use a systemic approach with all our counsellees, whether they are individuals, couples or families. Throughout our training, we were drenched in unfamiliar concepts and practices, and we experienced an environment where most people showed little knowledge of or interest in the Christian faith. For two people who had lived and worked close to and within Christian institutions for many years, it was a challenging experience. Wonderfully, our fellow students and tutors were very respectful of our faith position. Being together on the course as a married couple was very helpful, as we were able to give each other support through the difficult times. Berger, P. (1967). The Sacred Canopy: Elements of a Sociological Theory of Religion. New York: Doubleday and Co.
Berger, P & Luckman, T. (1966). The Social Construction of Reality: A Treatise in the Sociology of Knowledge. New York: Doubleday and Co.
Bowlby, J. (1987). Attachment. In R Gregory (Ed) The Oxford Companion to the Mind. Oxford: Oxford University Press. Burnham, J. B. (1986). Family Therapy. London: Routledge. Burr, V. (1995). An Introduction to Social Constructionism. London: Routledge. Goldner, V., Penn, P., Sheinberg, M. & Walker, G. (1990). Love and violence: gender paradoxes in volatile attachments. Family Process, 29 (4), 343-363. Richardson, G. P. (1991). Feedback Thought in Social Science and Systems Theory. Philadelphia: University of Pennsylvania Press. White, M. (1995). Re-authoring Lives: Interviews and Essays. Adelaide, South Australia: Dulwich Centre Publications. Following a car accident, I suffered terribly with a fight or flight response when driving. I did not know what this anxiety was and tried for months to recover on my own. After a particularly severe anxiety attack, I realised that I needed to get help. 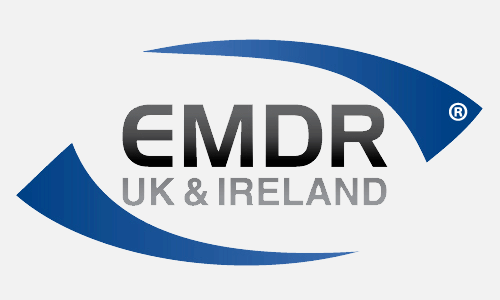 EMDR therapy was incredibly effective. My anxiety was linked specifically to the accident and in one session the anxiety was dispersed. I literally walked out of Swift Counselling, got in my car and drove with no anxiety from that moment on. I am thrilled with the results, thank you.